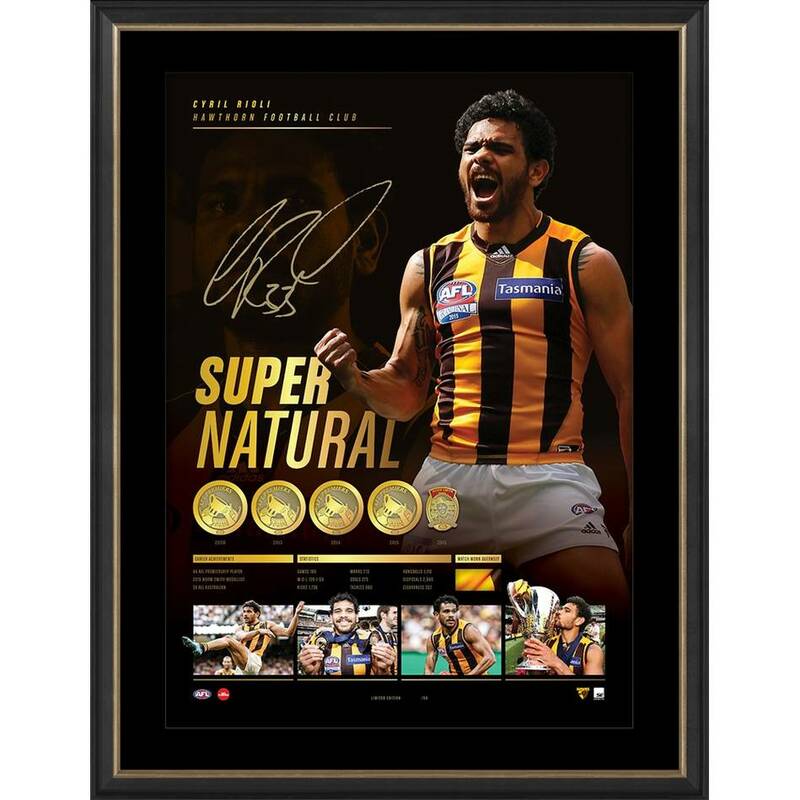 Official Memorabilia, in conjunction with the Hawthorn Football Club are proud to release 'Supernatural’, paying tribute to the decorated career of Hawthorn legend, Cyril Rioli. This career retrospective display highlights the incredible impact Cyril had on the game during his time at the Hawks, and is limited to just 50 editions. 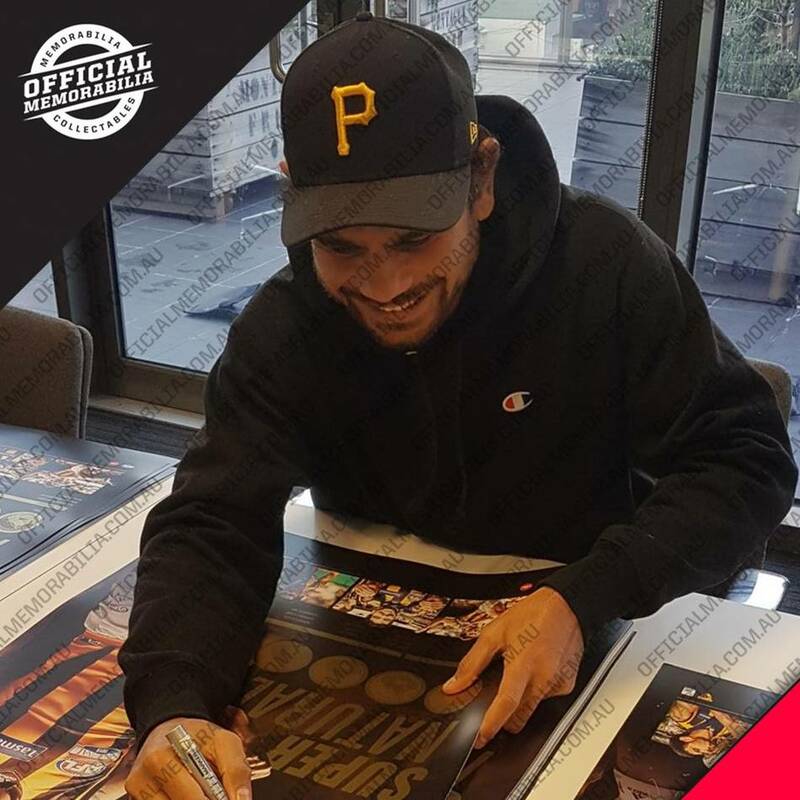 Each edition is personally signed by Rioli, and comes officially licensed and endorsed by the AFL for your peace of mind. This is a must-have for all Hawks fans and astute collectors alike – secure yours now to avoid disappointment.